In 1993 and 2005 to 2012 Gerry Johansson drove through the German countryside, visiting 176 places like Alt Horsbüll, Gelsenkirchen or Solingen. He divided Germany into nine sectors, which he then traveled systematically. 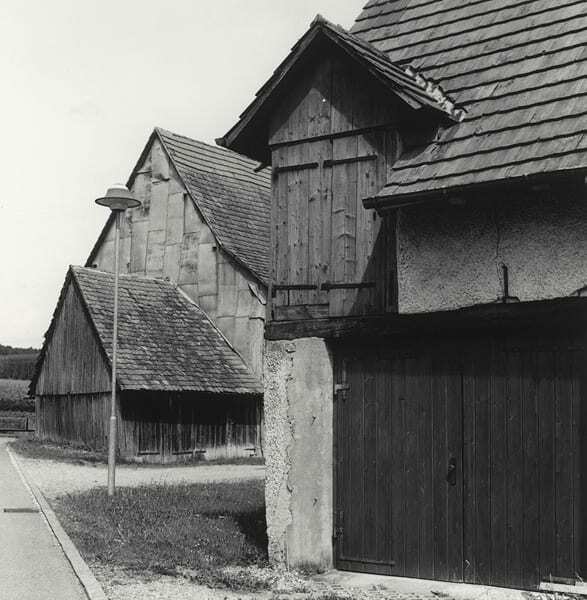 Rather than visiting only major cities, Johansson was drawn primarily to small cities with anonymous architecture in rural areas. Each place he visited is represented by only one photograph. The result is a visual encyclopedia of Germany, in tradition of the New Topographic Movement, but far more refreshing than the photography of Bernd and Hilla Becher. An excerpt of 57 framed black and white photographs of the series “Deutschland” recently hung in the rooms of the Swedish Photography Gallery at Karl-Marx-Allee, the former socialist boulevard. The photographs in the exhibition were placed in alphabetical order by city name, according to the encyclopedic concept and ensuring a neutrality of presentation. Easy to overlook were the slightly illegible captions of city names attached on the concrete floor underneath each photograph. This made it harder to find the starting photograph, which was misleadingly located in the rear area of the gallery. This strategy served as a wake-up call that Gerry Johansson’s small printed photographs require an attentive and accurate look from a close distance and also was a way to make the viewer participate in his work. In his exhibitions he encourages the viewer to take his own little walk around and then to stay longer on a picture, perhaps one that is relevant to the viewer, and then continue. The melancholic photographs are carefully composed and filled with information that is usually overlooked. People are not physically present in his work, rather they are characterized and represented by the environment that they have created for themselves. 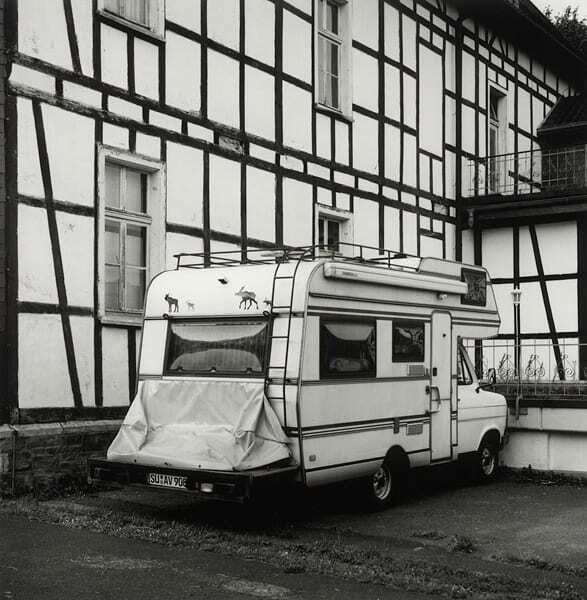 In the small-town Much, a mobile house is parked in front of a typical German timbered house. Through the composition and chosen perspective, lines and windows were brought together in a way that natural edges disappeared and merged together in a new construction. Or a detached house in Beckum has merged with the factory behind it to become a surreal looking building, where the illusion of the depth of space has become lost. Gerry Johansson likes to play with geometric structures and lines, which he often superimposes. His meticulous accuracy does not leave anything to chance. He suggests the mindful vision of careful listening. 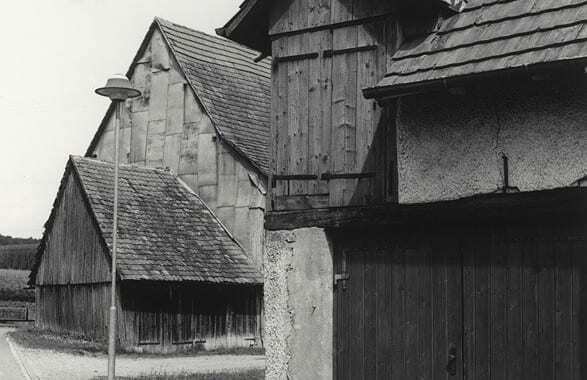 The exhibition “Deutschland” shows a cross section of German landscapes, industrial sites and buildings, residential streets, storefronts, urban and rural architecture. On the surface the different portrayed places might look similar, but in the deeper layers emerges their specific culture. Gerry Johansson’s own visual language is then the common thread that connects the places together aesthetically and stands as a symbol for a collective socio-cultural identity. “Deutschland” is following “Pontiac” in the series starting with “Amerika” (1998), “Sverige” (2005), “Kvidinge” (2007) and “Ulan Bator” (2009). “Deutschland” was published in 2012 by Mack. Sören Schuhmacher graduated with a diploma in Communication Management from the Design Akademie Berlin and studied photography at Ostkreuz Schule für Fotografie. He runs the blog Lost in Publications and works as a photographer in Berlin, Germany. Posted in Exhibitions and tagged Architectural Photography, Berlin, Exhibition Review, Germany, Gerry Johansson, Photography, Swedish Artist.